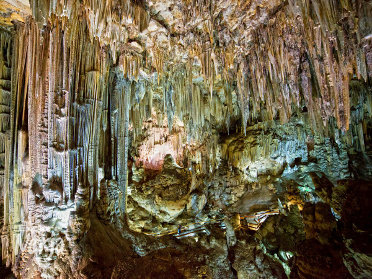 Ever since their discovery in 1959 by a group of local boys, the Nerja Caves have proven to be a source of fascination for tourists and geologists alike, propelling it to be the third most visited site in Spain. 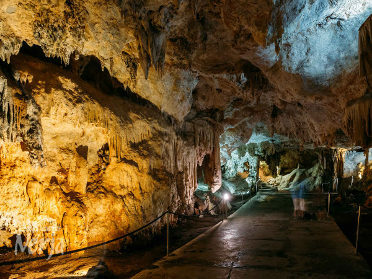 Around a third of the caverns already discovered are open to the public whilst the rest remain closed due to difficulty in their access or because of continuing scientific research. Recent discoveries may however mean that the caves are even more important than previously thought with analysis showing that some of the paintings found within may be up to 43,000 years and the work of Neanderthals instead of Homo sapiens as has previously been believed. 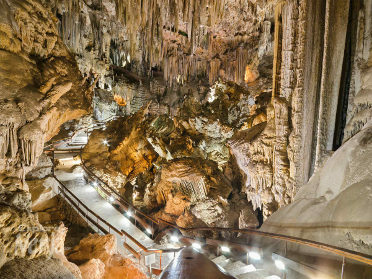 The Nerja caves are also home to the worlds largest stalagmite, measuring in at an impressive 32 meters (105ft) tall and 13 metres by 7 metres at its base. The caves are well worth a visit and easily accessible, situated approximately five minutes from nerja by car, with good signposting so you won’t lose your way. Parking is readily available although if you prefer you can use the bus service direct from Nerja bus station. Buses run regularly throughout the day at a cost of approx one euro. You can check the bus timetable below. 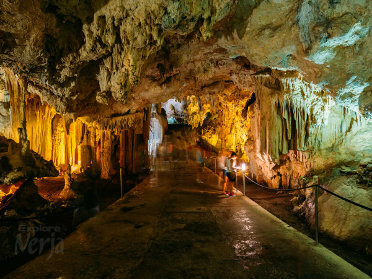 The Nerja caves offer a number of different tours. A general tour will take you through areas known as the tourist galleries and lasts approximately 45 minutes. No prior booking is required and costs €8.50 for adults or €4.50 for the under 12's. For the more adventurous there is a 'Caving Adventure Visit' which gives access to less accessible areas of the cave system. 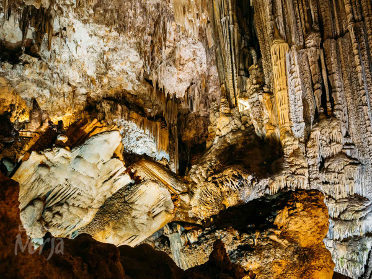 You will be accompanied by trained and knowledgeable guides to ensure the safety of the group and give information about the caves throughout the visit. Maximum group size is up to ten people and prior booking is required. This tour is available from October through to May. This tour costs €90.50 per person. 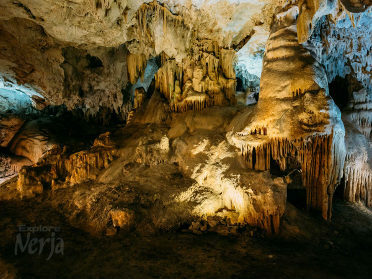 If you speak Spanish you also have the option of one of the Nerja Caves educational visits which are held from the 15th January until the 15th June. This will include a trip to the history museum as well as the caves however you can customize your visit as you wish. Be aware that these visits are aimed at groups and not individuals.